With so many reputable delivery companies in operation, consumers have never had more freedom of choice when they need to get a courier quote. But customers also have less time than they've had before, too. Nobody wants to spend an age trawling the internet for the best post prices every time they want to send a package. What's the benefit of having so many choices when finding them is costing you time that could be better spent on important business? That's why we built our quick quote tool. With the click of a button, you can compare dozens of different courier services selected for your sending needs, whether you're looking for the cheapest delivery or the fastest. And best of all, we offer some of the UK's cheapest delivery quotes. It's fast — It takes only a second or two to generate a quote. It's easy to compare — Services can be ordered by price, speed or brand name to make choosing the right one easy for you. It's constantly improving — We're constantly adding new courier services to the dozens we already offer, as well as adding new features to make finding the best quote for you easier than ever. When you book through Parcel2Go, you'll get free door-to-door tracking on your deliveries, as well as the option to add some extras to your service, including signatures upon delivery and inclusive Parcel Protection. Need to send in multiple parcles? 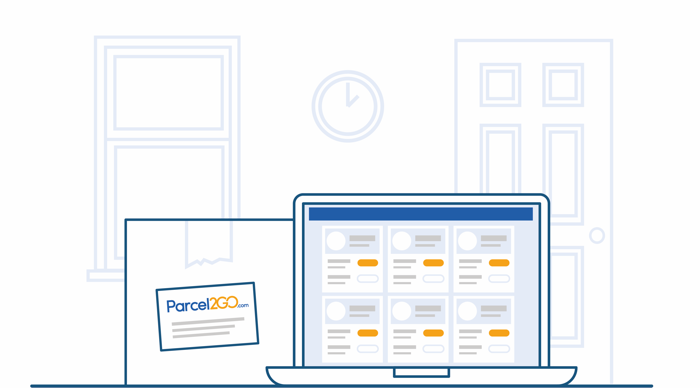 Check out our Smart Send shipping tools, which allow you to integrate your accounts with eBay, Amazon, WooCommerce and more with your Parcel2Go account to manage all of your deliveries. stack up against the Post Office. Book your urgent deliveries for less with our next-day and same-day delivery services. - Each offering their own unique perks and post prices.